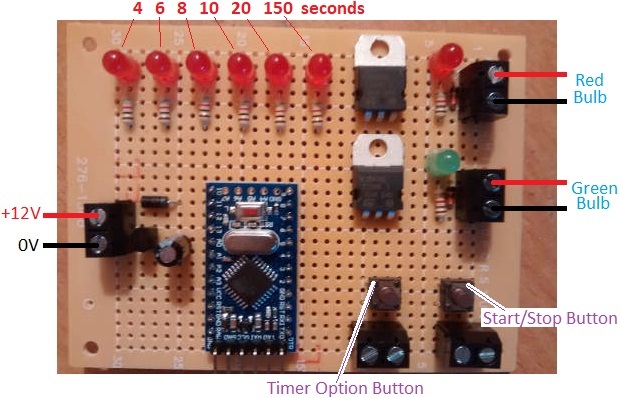 Pictured below is a timer for use in competitive target shooting. Usually we make turning target controllers which turn the target to face and away from the shooter at the required times. This controller instead is for use with a fixed target, using a red and a green light to tell the shooter when to shoot. The red light starts off on. The start/stop button is pressed and the range master gives a vocal command for shooters to load. After 30 seconds, the red light turns off and the green light turns on – shooting commences. After a user programmable timer period has elapsed, the red light turns on again, the green light turns off, and shooting stops. The type of bulb to be used with controller is pictured below: a low current 12VDC powered 22ds LED bulb from Onpow. 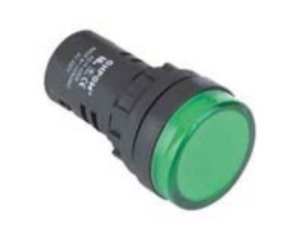 If you need any type of shooting range timer, please email neil@reuk.co.uk with details of your requirements.